Manage your people, money, customers, suppliers – even your entire business – in the cloud with the most comprehensive cloud computing portfolio in the market. Database backup for Peace of mind. With BMO online POS System, you do not have to worry about backing up. Get your staff from all branches to perform data sync on a daily basic for database safe keeping. Real time database synchronization from all outlet will take place when you subscribe BMO Online POS System. 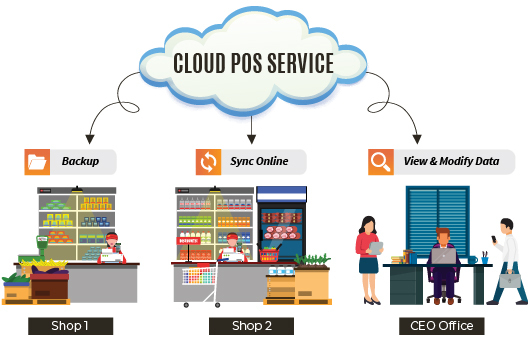 Once you have sync your offline POS Terminal to online POS system server, the data will be kept securely with us. Our server backed-up daily and mirrored to 3 sites for disaster prevention. You can access to your real time inventory level, sales and report from your laptop, tablet and mobile devices. Adjustments such as price and item code will be reflected after the sync is complete.